Congratulations to the cast of Time’s Arrow for a successful opening weekend, even in the face of a tumultuous weather weekend! One of our audience members submitted a lovely review on Goldstar – check it out and then grab your tickets for this week’s final 3 performances at http://timesarrow.bpt.me/. Thursday-Saturday, Oct 20, 21, and 22 at 8PM in the Ballard Underground. Wasn’t sure what to expect … first time at improv theater. Plain stage with couple of boxes; wet bar with some good whiskeys and decent white wine with the white wine going for $3; decent chairs. OK by me. Topic was a parsonage on the Grand Cayman Island (from a audience member suggestion) and then one hour of improv. Highlight was (must have googled Grand Cayman) skinny bespectacled Bartholomew courting the governor’s daughter in competition with a British sea captain (Grand Cayman is a British Protectorate) and finally disclosing his true identity as the notorious pirate Black Bart (real historical Caribbean Pirate) winning the girl in a swordfight. Sorry you missed it with the theater 1/3 full (could have been the storm warning over Seattle) as this particular play will never be seen again. But the creative minds are still there awaiting your suggestion for the evening’s theme. Suggest you attend this affordable delight. 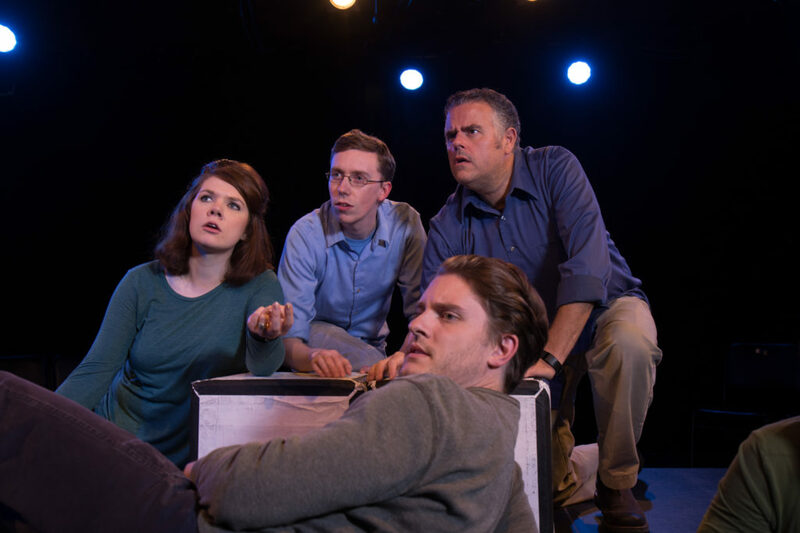 This entry was posted in TimesArrow and tagged ballardunderground, improv, review, TimesArrow. Bookmark the permalink.